Nothing beats a good bowl of soup, especially on a cold, chilly night. 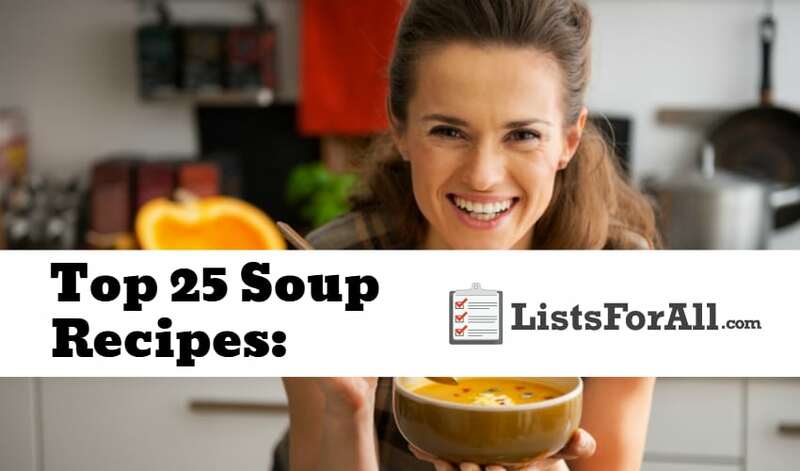 In this list of the best soup recipes, we have compiled 25 different soup recipes that will leave you running for the kitchen. With everything from hearty to healthy, there is sure to be a bowl of soup on this list that speaks to you. What are you waiting for? Start that batch of soup, and make plenty, because you will definitely want leftovers! And for even more recipe help, check out our list of the best dessert recipes and best appetizers. Eating in has never been so fun! With simple, filling ingredients, this Tuscan bean soup recipe is easy to make. For an added kick, serve with freshly grated cheese and some crusty bread. 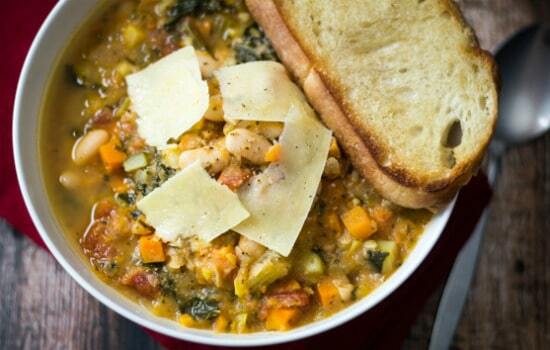 Try this soup next time you are looking for a complete, hearty meal. 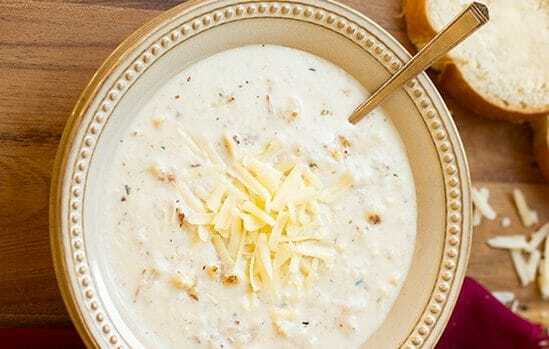 A combination of three different white chicken chili recipes, this crockpot white chicken chili recipe by 2 Cookin’ Mamas is perfect for when you need dinner ready after you come home from work. 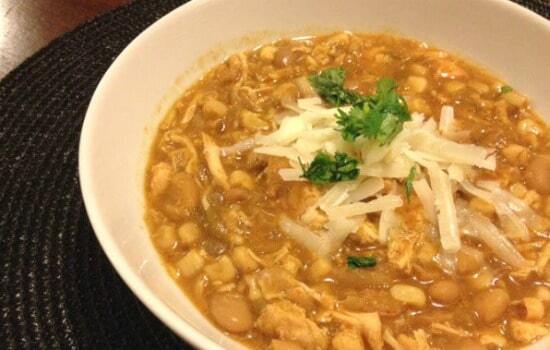 If you love white chicken chili, you should check this recipe out. 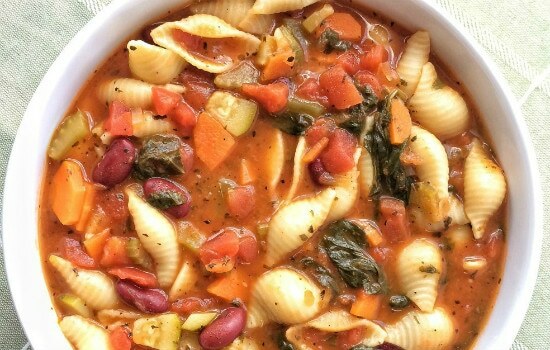 A classic, hearty soup, this Minestrone has a tomato vegetable broth base and plenty of fresh veggies, beans, and pasta. As healthy as it is delicious, this soup is an easy way to incorporate more vegetables into your diet. Leftovers (if there are any) are just as delicious, making this an easy multi-meal soup. Creamy and tasty, the fire roasted tomatoes in this soup shine when paired with oregano, basil, Parmesan cheese, and cream. Perfect for a cold evening or any time you want some warm and comforting flavors, this is one soup that you will have on repeat. 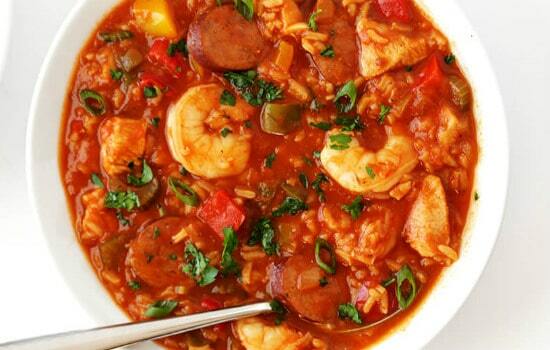 With all the things you love about Jambalaya, just in soup form, this Jambalaya soup is perfect for feeding large crowds. Lots of tender veggies, mixed with Andouille sausage, chicken, and shrimp and simmered in a spicy tomato Cajun rice sauce make this a bowl of soup that packs a punch. And the ability to easily customize your proteins and vegetables, this is a soup that will please the pickiest of eaters. 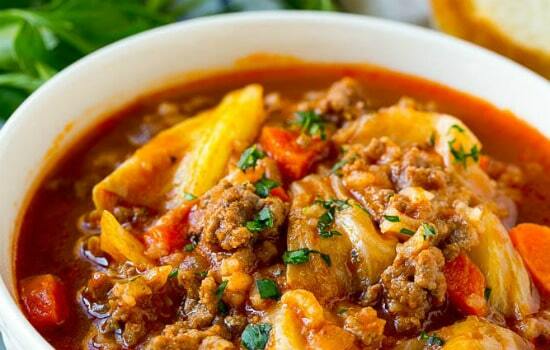 With the same flavors as the classic baked cabbage roll dish, this soup is just as tasty but much easier to make! Quick and filling, the soup can be assembled in record time, making this a good workday dinner. 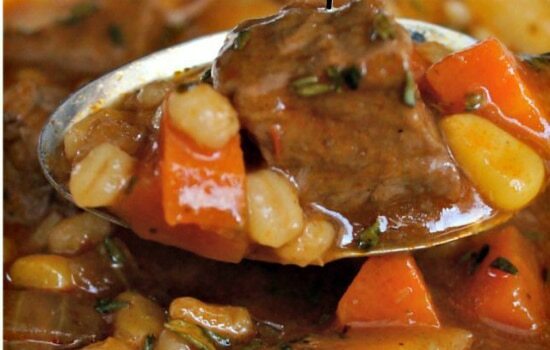 Part stew, part soup, this thick and rich beef, and barley soup is perfect for cold winter nights. This soup also freezes well, so make a big pot and enjoy this soup all season long without any fuss. If you don’t have the time to handmake everything, this easy potsticker soup is a great alternative. 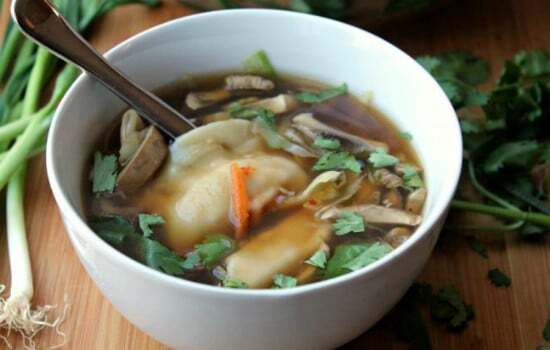 With just a few pre-made ingredients, this soup features frozen potstickers, noodles, cabbage, mushrooms, green onions, cilantro, and other delicious ingredients. If you want a lovely Asian inspired soup, but without a lot of prep time, this is the recipe for you! 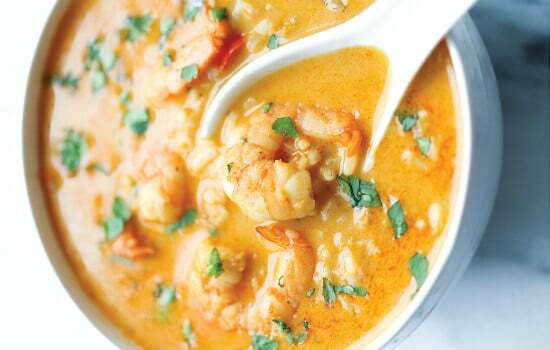 Healthier than takeout, this easy Thai shrimp soup is a great curry coconut soup. If you don’t like shrimp, you can easily use chicken, pork, or tofu in place of it. So, skip the takeout and save a few bucks by making this soup – your taste buds will thank you! A made from scratch recipe (no canned soup here), this is comfort food at its finest. 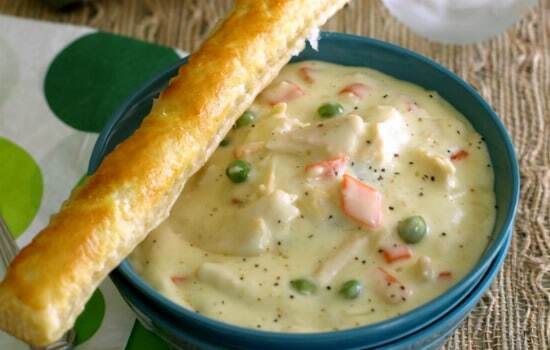 While not low calorie, it is filling and delicious and a sure hit with any chicken pot pie fan. The secret ingredient is nutmeg – it makes the soup! Made with just a handful of ingredients, this sophisticated yet simple French classic is sure to please. 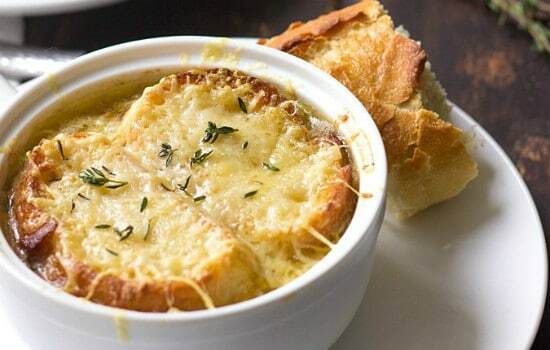 Carmelized onions make for a soup bursting with flavor, while the cheese and toasted baguette add the right amount of richness. This is an excellent soup as an appetizer or a main course. 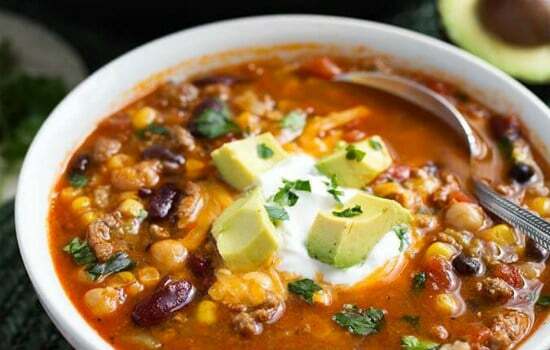 Instant pots are becoming more and more popular, and this instant pot taco soup makes good use of the instant pot. Tasty and zesty just like traditional tacos, this is a quick and easy soup that will please people of all ages. 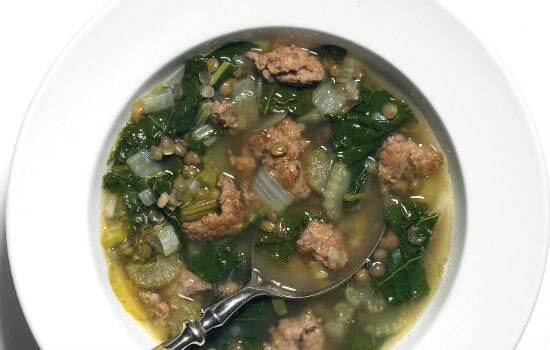 Rustic, yet refined, this sausage, lentil, and kale soup recipe from Martha Stewart are both healthy and satisfying. Be sure to make extra – this soup goes quickly. 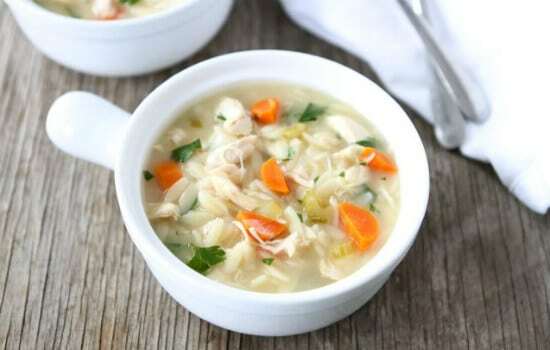 Light and refreshing, this lemon chicken orzo soup is also comforting. The addition of lemon gives the soup an added zing, as well as providing cold fighting Vitamin C. If you enjoy citrus flavors, this soup is definitely worth a chance. 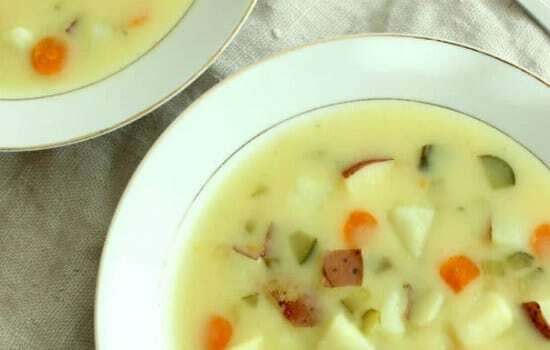 This delightfully hearty and warming potato soup is a Pioneer Woman favorite. The trick is to blend half of the potatoes and then mix with the un-pureed potatoes, resulting in the perfect potato soup consistency. Add in bacon, cheese, and other deliciousness, and this will be one soup that you turn to time and time again. 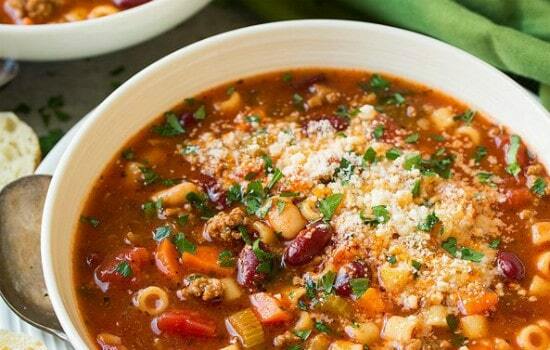 One of the most popular soups at Olive Garden, this copycat pasta e Fagioli will satisfy your craving without having to leave the house. Hearty and filling, this soup is chock full of veggies, beans, beef, and pasta, making it a perfect main dish. Make this soup next time you want soup for dinner. 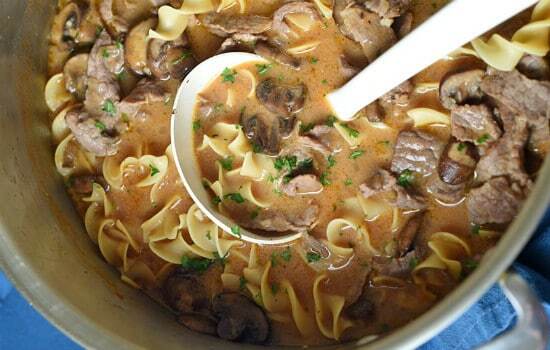 An easy weeknight dinner, this one-pot beef stroganoff soup has all the traditional ingredients: sirloin, crimini mushrooms, onion, garlic, egg noodles, sour cream, and Worcestershire sauce, only in soup form. Hearty, but still light, this soup has minimal cleanup and is a quick and easy. 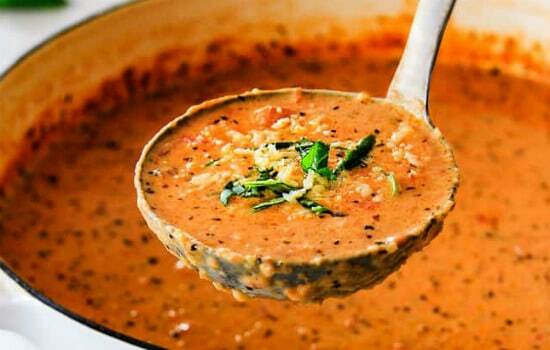 A unique and tasty bisque, this Asiago bisque is a great soup to work into the dinner rotation. 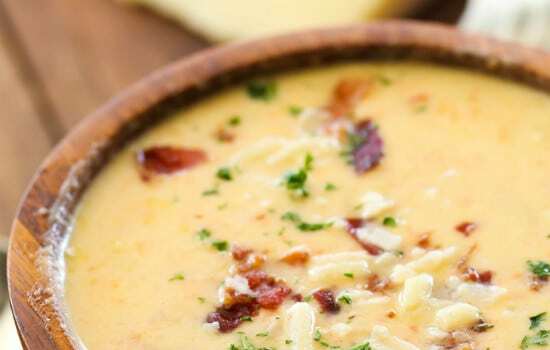 Potatoes and bacon give the soup some substance, while the Asiago and half and half provide creamy flavor. If you are tired of the traditional soups, give this one a whirl! The taste of nachos packed into a soup – what could be better? 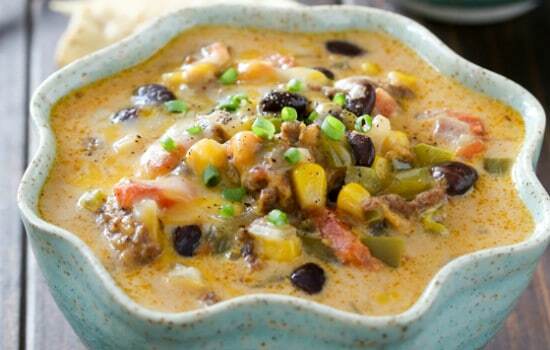 This slow-cooker nacho soup recipe is easy to make and a hit with kids. Packed full of beef, cheese, and veggies, the soup is hearty enough to eat as a meal and delicious enough to make over and over again. Like broccoli and cheese soup, but creamier and better, this roasted cauliflower and cheddar soup is a fun take on a classic. And, roasting the cauliflower takes this soup to a whole new level. Who knew vegetables could taste this good? Pickle fanatics rejoice – this dill pickle soup brings just the right balance between sour and savory. For something unique and memorable this soup fits the bill. Try this soup next time you have guests over – it will really leave an impression. 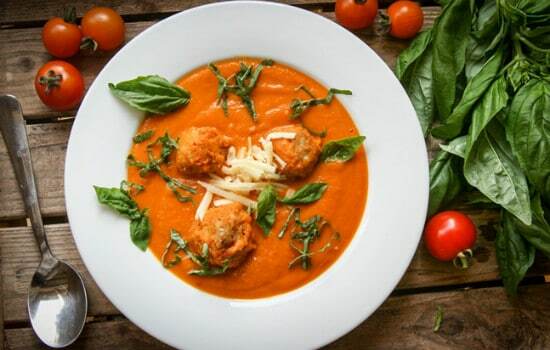 Tomatoes and cheese are already great pairs, but in this roasted tomato soup with cheddar dumplings recipe, both the tomato and the cheese are kicked up a notch. In place of traditional tomato soup and grilled cheese sandwiches, why not try this recipe? 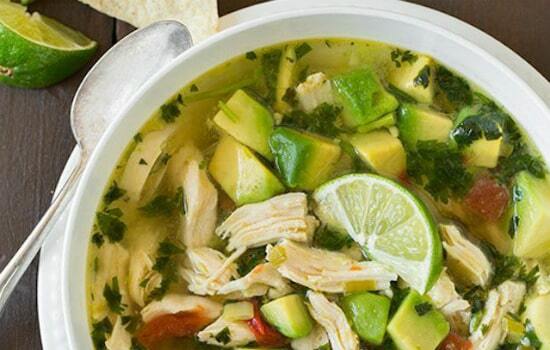 Light, refreshing, and healthy, this chicken avocado lime soup is a breeze to make. And if you need any more incentive to make this soup….come on, there are avocados in it! 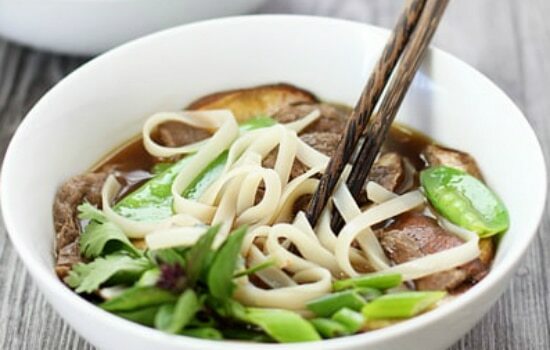 Full of flavorful herbs and spices, this rice noodle soup with beef is a Vietnamese inspired soup that can be prepared quickly. Try mixing up the veggies for a different experience each time you make it. 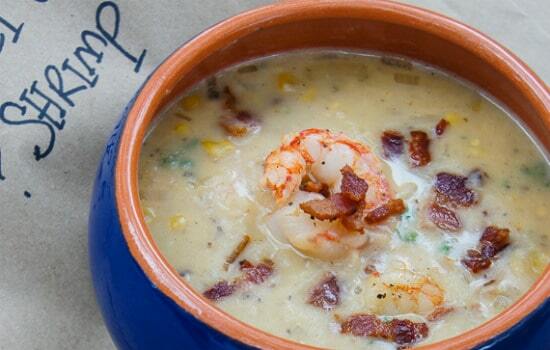 If you are a fan of chowder, this sweet corn and shrimp chowder recipe is not to be missed. Creamy and tasty, this soup also packs a bit of a punch with the addition of curry and cayenne pepper. 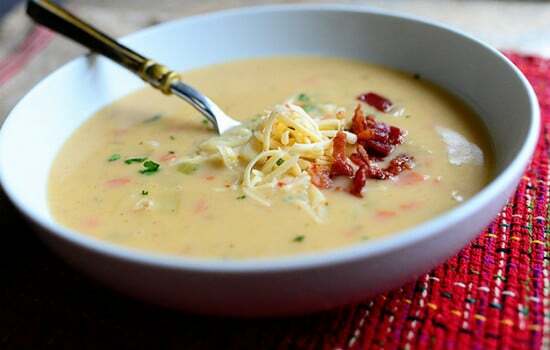 Whether it is a rainy day that calls for a bowl of soup, or you are just in the mood, this list of the best soup recipes will not disappoint. So give one of these soups a try (or several of them), and then let us know how much you enjoyed your soup in the comments below. Checkout our list of the best kitchen tools to find a perfect soup pot and get started enjoying one of these great recipes.